Ok I have to come clean, the title of my post is a direct lift from a report/study from Google entitled The New Multi-screen World: Understanding Cross-platform Consumer Behavior. Released in August 2012 the report/study touched on all the different screens consumers use on a daily basis. In fact according to the findings, 90 percent of consumers now move “sequentially” between different screens the same day. 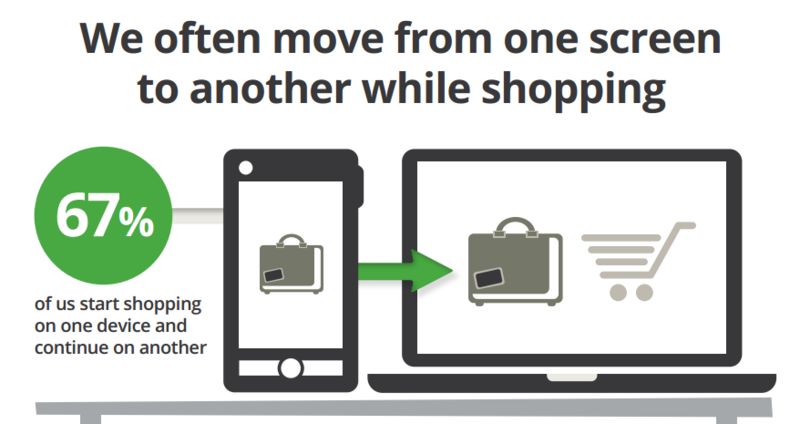 Let that sink into your coffee or beverage of choice or stream of consciousness for a second: 90 percent of consumers now move “sequentially” between different screens the same day. So I admit it here that I ahem, borrowed one of the headlines/titles from the aforementioned report/study. I did so because a) it was a perfect title as it spoke directly to the particular finding (unlike others studies where the headline doesn’t always match the content. And b) because it fascinated me for it spoke to and reminded me of The Zero Moment of Truth. Well according to the aforementioned Googlereport/study, for 67% of consumers, the moment “marketing happens” occurs while using a device – a smartphone, tablet, etc. .
Now that’s a pretty significant percentage in it of itself – over 2/3 of consumers start their shopping journey on a device. To take it one step deeper, roughly 2/3 of the above 2/3 (stay with me) start their shopping journey on a smartphone. And catch the headline. Now I would be remiss if I did not mention the fact that two words Greg used “coordinated” and “synchronized” – sound eerily similar to a certain 11-letter word yours truly has written about in the past – The Eleven Letter Word That Continues To Elude All CMOs And Marketers. What word am I referring to? While not the same type of integration I was referring to in my piece, the fact remains and quite frankly I don’t care what you call at this point, marketers must make sure to address each and every screen that a consumer touches, comes in contact with, etc. The vast majority of media interactions are screen-based, screen-based, and so marketing strategies should no longer be viewed as “digital” or “traditional”. Businesses should understand all of the ways that people consume media, particularly digital, and tailor strategies to each channel. Clearly to me the most significant part of this is the point that marketers need to stop differentiating between digital and traditional marketing and realize they are all run together; the lines have been blurred – forever. 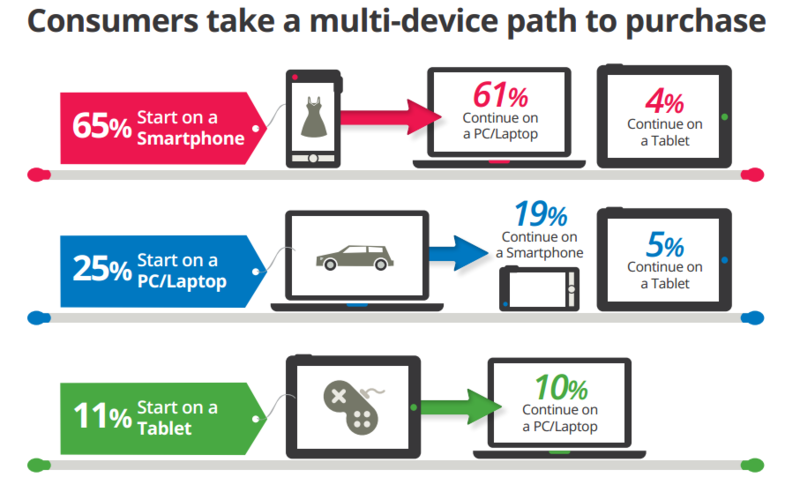 Consumers turn to their devices in various contexts. Marketing and websites should reflect the needs of a consumer on a specific screen, and conversion goals should be adjusted to account for the inherent differences in each device. In other words make sure your site is mobile optimized! Smartphones are the backbone of our daily media use. They are the devices used most throughout the day and serve as the most common starting point for activities across multiple screens. Going mobile has become a business imperative. Really, the last line says it all. Stop avoiding that large, gray pachyderm in the room.